Once you’ve set foot on the white sand beaches you may wonder why additional family activities in Gulf Shores are even necessary. I mean, you’re at the most beautiful beach in the world and I know you’re going to be enjoying some of the best places to eat in Gulf Shores too, so why plan activities? Lots of reasons! Our main reason is this little guy right here who loves to go go go! And then go some more. 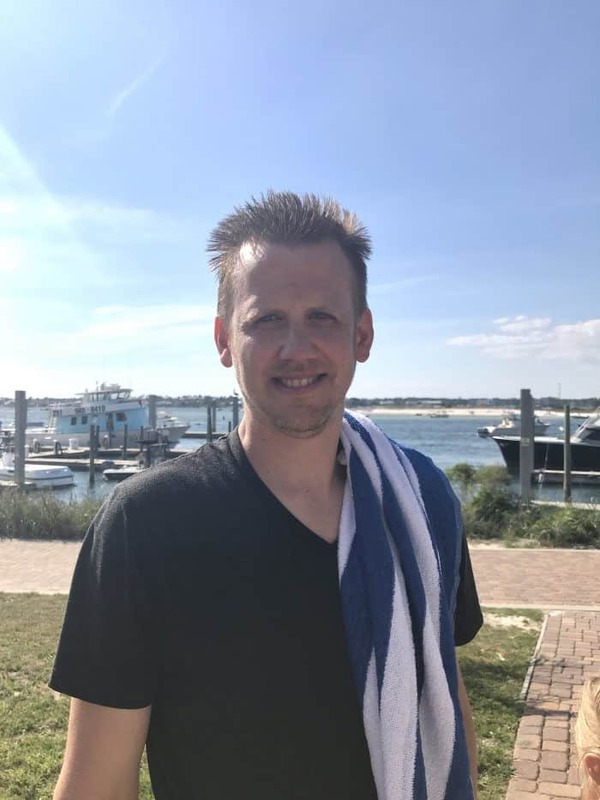 Sure he loves rough waves and giant milkshakes, but get him out on the ocean on a cat boat and he just comes alive. 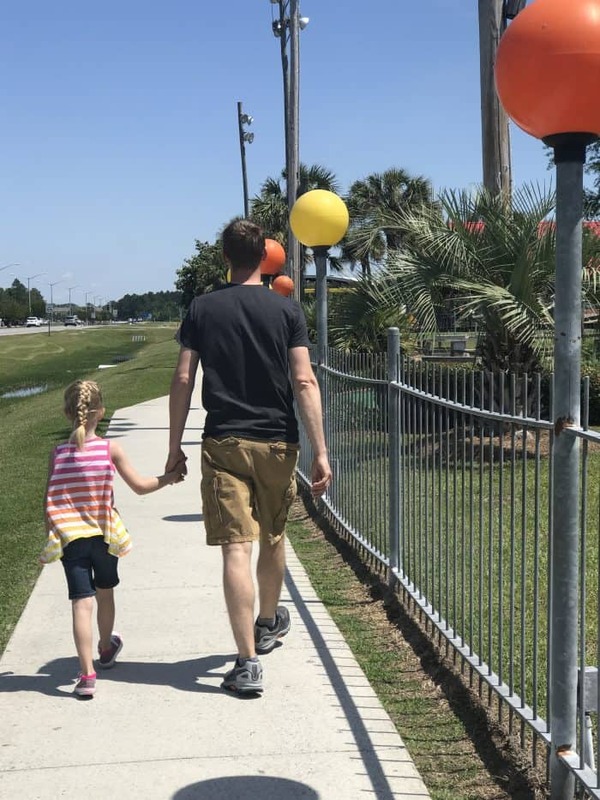 Check out these Gulf Shores attractions kids will love and make some special memories on your next Alabama beach vacation. 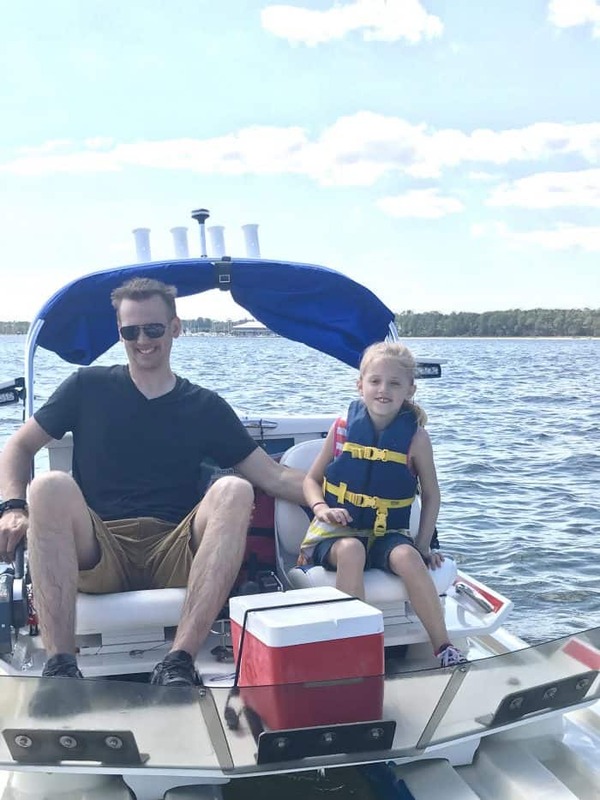 Once I got over the learning curve of captaining my own boat, I felt so exhilarated driving out on the intracoastal waterway during our Orange Beach Cat Boat Tour. Gus, of course, want to go pedal-to-the-metal the whole time while Sweet T started getting anxious at 5 mph. Our guide, Chris, knew just where to go to spot dolphins. I did the best I could to video, but really needed a third hand. Still, you can see them as clear as day. I was shocked how close they would come to our boats! It was really choppy and windy that day. Check out Hubs’ hairdo afterward. It still cracks me up. 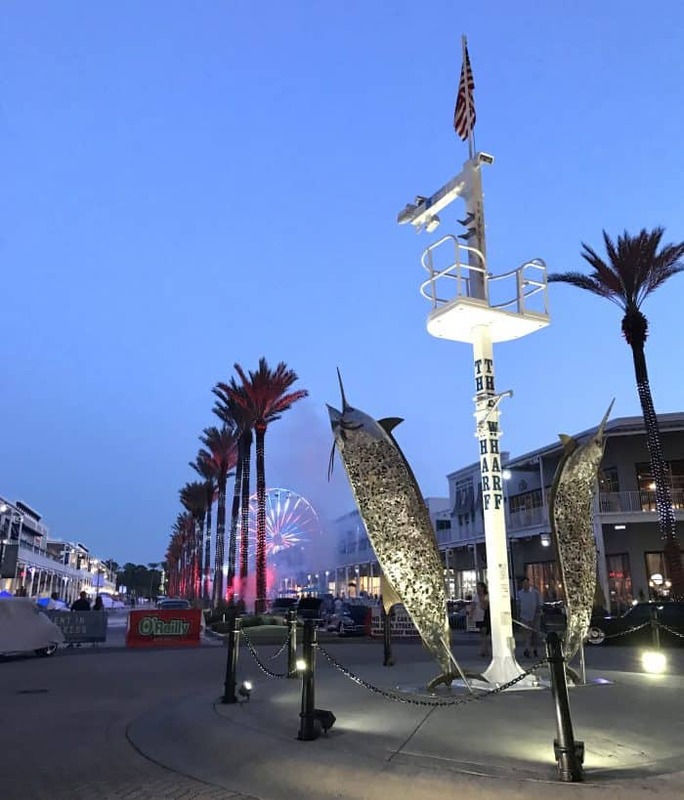 There’s a movie theater, shops, a ferris wheel, mini golf, and a zipline at The Wharf. If you’re looking for something fun and free there, check out Spectra light show each night at 7:30 and 8:00. We saw kids and adults alike dancing like no one was watching and there happened to be a car show that night that we enjoyed too. There’s ice cream and sweet treats to be found as well as a Build-a-Bear Workshop. Lots of family fun to be had here! Featured by Animal Planet and known as “The Little Zoo That Could,” Alabama Gulf Coast Zoo is a real treat. Faithful employees and volunteers managed to get every single animal to safety before Hurricane Ivan struck in 2004, earning them their moniker. 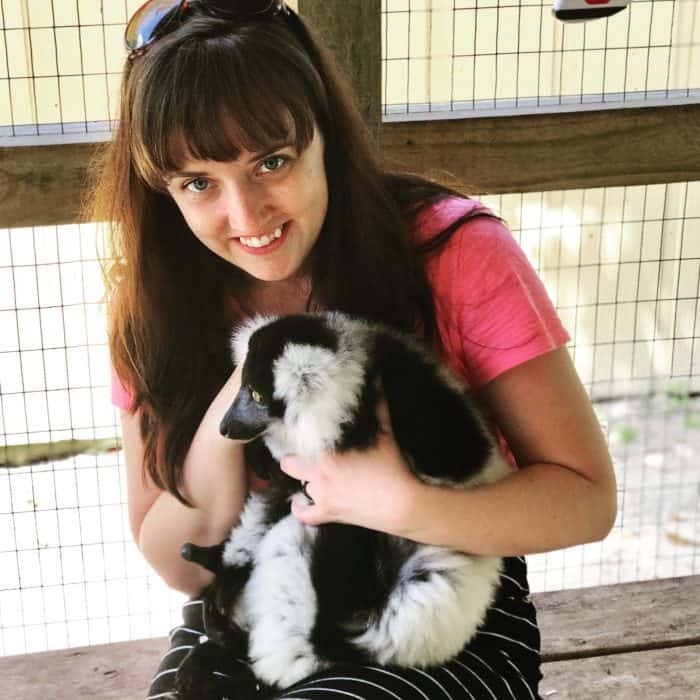 During this visit, we got to meet Zoo Director Patti Hall who gave us the VIP treatment including a behind-the-scenes look into the zoo office where we met someone special. 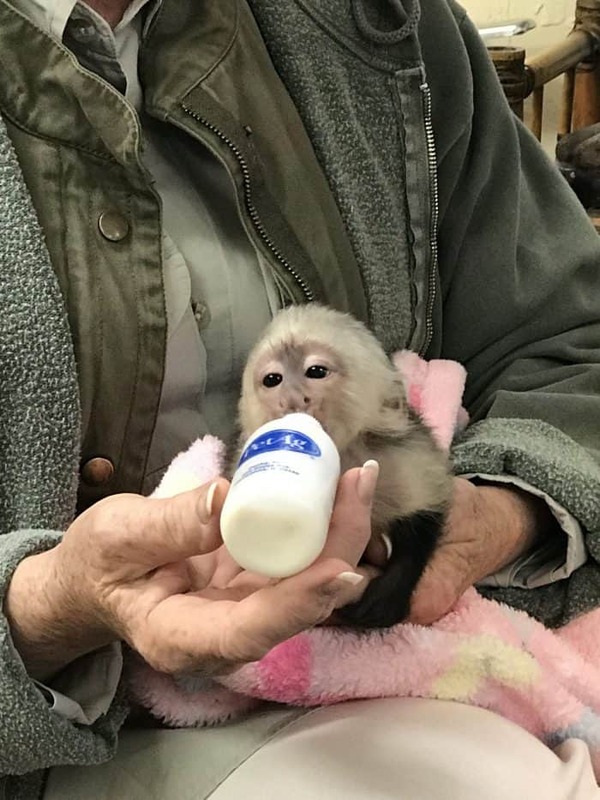 Mimi is the first baby capuchin in 8 years to be hand-raised at Alabama Gulf Coast Zoo. Normally the moms do a fine job without intervention, but for some reason, the mother wasn’t taking proper care of Mimi. Patti stepped in before dehydration could take this little life, and at 7 weeks old she stays with her 24/7 for the time being. Alabama Gulf Coast Zoo is getting its own dedicated post since there’s just so much to talk about so stay tuned! You’ll definitely want to visit and participate in the unique animal encounters. While Mimi is kept out of the public eye, you can interact with kangaroos, sloths, lemurs and more! It’s a must-do on your list of family activities in Gulf Shores. 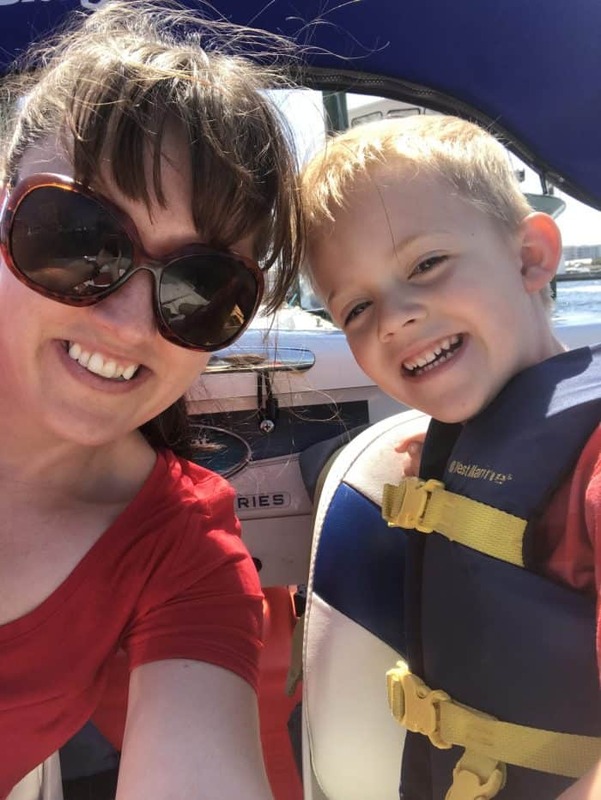 Our kids couldn’t be more different so thankfully The Track has both thrills for Gus and lots of chill for Sweet T.
While Gus enjoyed being a passenger on The Big Woody go-karts (faster! faster!) Sweet T was content with the bumper boats and merry-go-round. Perfect for little thrill-seekers and those who like to play it safe. Mama got open water dive certified this trip (blog post to come of course!) but did you know that kids can get in on the action too? 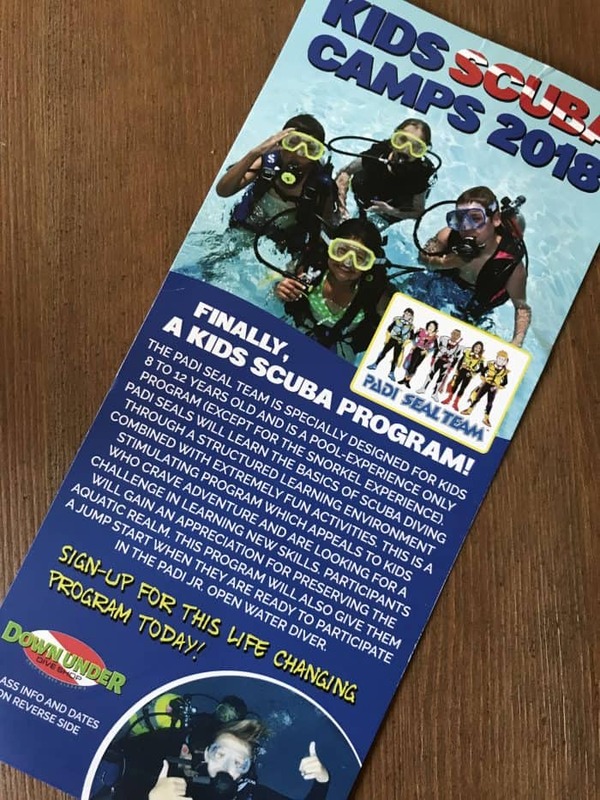 PADI offers a Junior Open Water Diver course that kids can start at age 10, Down Under Dive Shop is happy to get your little ones learning early through their summer camp as early as age 8! I dearly hope one of my kids loves to dive so that I always have a dive buddy. I’ll give you two guesses which child it will be. Ha! Give Down Under Dive Shop a call for dates and more info. You just might just decide to plan your family beach trip this summer around their kids camp! With so many family activities in Gulf Shores to choose from, there will never be a dull moment on your next vacation. 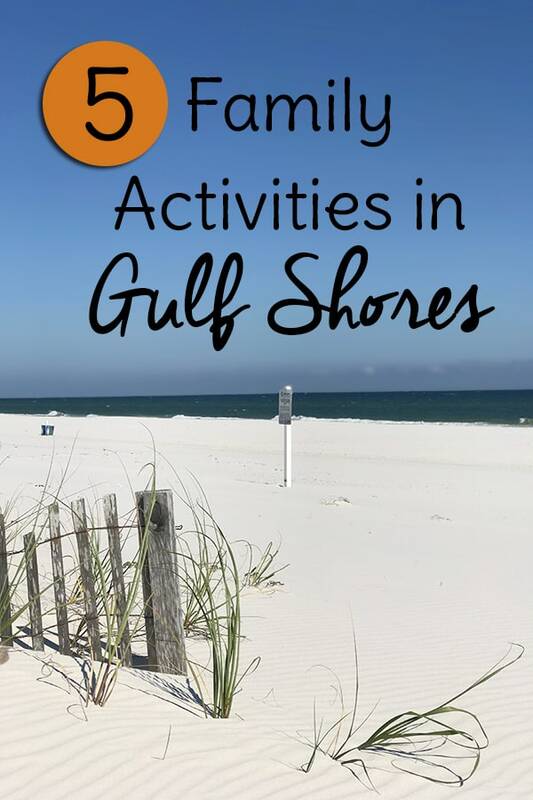 Check out even more things to do in Gulf Shores with kids. Enjoy!